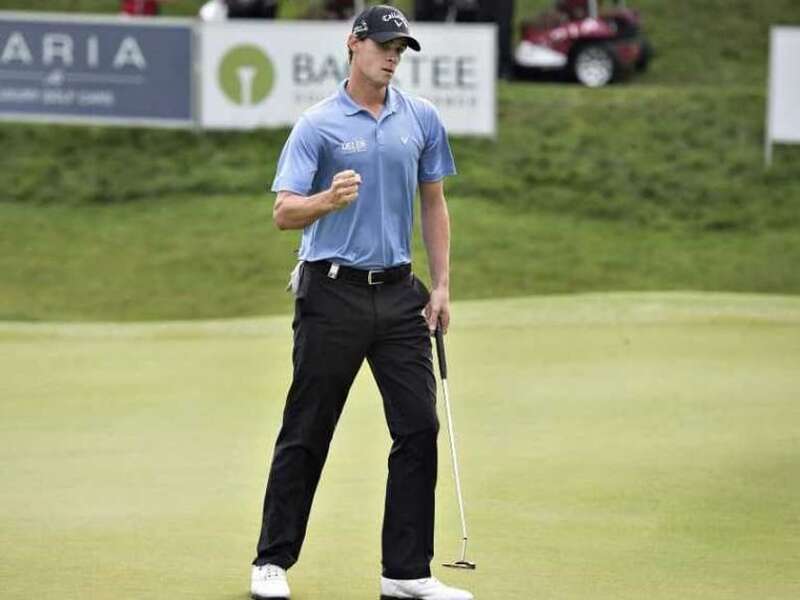 Europe's Ryder Cup captain Darren Clarke announced England's Lee Westwood, Germany's Martin Kaymer and Thomas Pieters of Belgium as his three wildcards on Tuesday. With rookies taking up five of the nine automatic qualifying places, Clarke had been expected to turn to experienced Ryder Cup campaigners Westwood and Kaymer. Pieters, 34, was picked ahead of Scotland's Russell Knox, having bolstered his case for inclusion with a stunning opening round of 62 alongside Clarke at last week's Made in Denmark tournament. "It came down to Thomas Pieters and Russell Knox, and the phonecall to Russell was one of the hardest I have ever had to make," Clarke told a press conference at Wentworth. "But given his form, I found it impossible to leave Thomas out." Westwood, 43, will be making his 10th consecutive Ryder Cup appearance. He finished 13th on the world points list, one place above Kaymer. Westwood has not won a tournament since April 2015, but he came joint-second behind compatriot Danny Willett -- one of Clarke's automatic picks -- at this year's Masters. He also recorded four other top-15 finishes. Kaymer, 31, has not lifted a trophy since claiming his second major title at the 2014 US Open, but delivered six top-10 finishes in his last 12 events. He has played in Europe's last three Ryder Cup wins and sank the putt that completed the European team's stunning comeback to defeat the United States in 2012's 'Miracle of Medinah'. "Narrowing it down to those three wildcards has been a very difficult process, but I said that I was going to look to experience and with Lee Westwood and Martin Kaymer I had two former world number ones," Clarke added. "Last week I played with Thomas Pieters (in Denmark) and Thomas knew why I was playing with him. He played unbelievable and shot 62 and, on top of that, won the tournament." Appearing via video link, Pieters said: "It's a little bit crazy, especially closing out the tournament like I did on Sunday. I can't wait to tee it up and give it 110 percent." Pieters's victory in Denmark followed a fourth-place finish at the Olympics in Rio de Janeiro and a runner-up showing at the Czech Masters. Europe will be seeking a fourth consecutive Ryder Cup victory over the United States when the teams face off at Hazeltine in Minnesota on September 30-October 2.